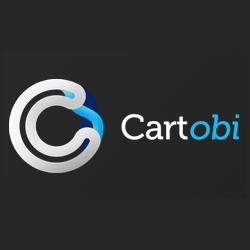 The Cartobi add-on for Sage One Accounts offers a range of highly intuitive and dynamic tools to view, filter, select, analyse and report on the location and distribution of your invoices, clients and products. As you log into Cartobi so your Sage one invoice data is displayed on the map. Cartobi are now looking to recruit some critically-minded Sage One Accounts users with lots of lovely juicy sales invoice data to help out with their final stage of beta testing prior to its full release for Sage One users. They don’t need you to be selling across the whole of the United Kingdom, Ireland, Europe or further afield. They don’t need you to be gadget loving technophiles (geeks!). All they ask is for an hour of your time, to help them through any issues that they might come up against with your invoices. And, because they need lots of lovely invoices you do need to have around a 1,000 or more sales invoices. By joining up, you’ll be helping them to ensure that the user experience and quality of the analytics Cartobi can deliver to your business has fewer bugs and smoother features. Plus we (the Sage One team) will give you three months free useage of our service in return! If this is something you think you’d be interested in, simply visit Cartobi’s contact form, and provide them with your contact details. They’ll then get straight back to you to arrange a good time to take you through the signup process.